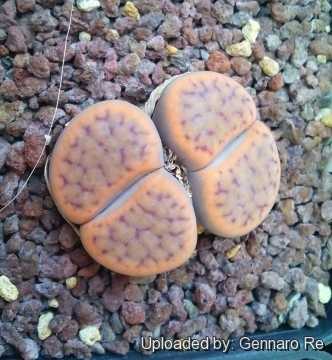 Description: Lithops schwantesii is a tiny caespitose succulent that grows almost completely buried in the soil with only the upper truncated portion of leaves visible. Bodies usually forming small groups with 1-3 heads, but occasionally with more than 15 heads, up to 4 cm high. 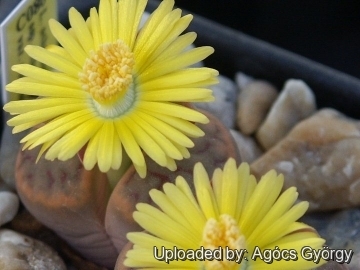 It is very variable, but conforms to the typical Lithops morphology: two thick, fleshy windowed leaves separated by a crack from which a yellow flower appears. The windowed part allows light into the inner portion of the leaf where the process of photosynthesis is carried out. 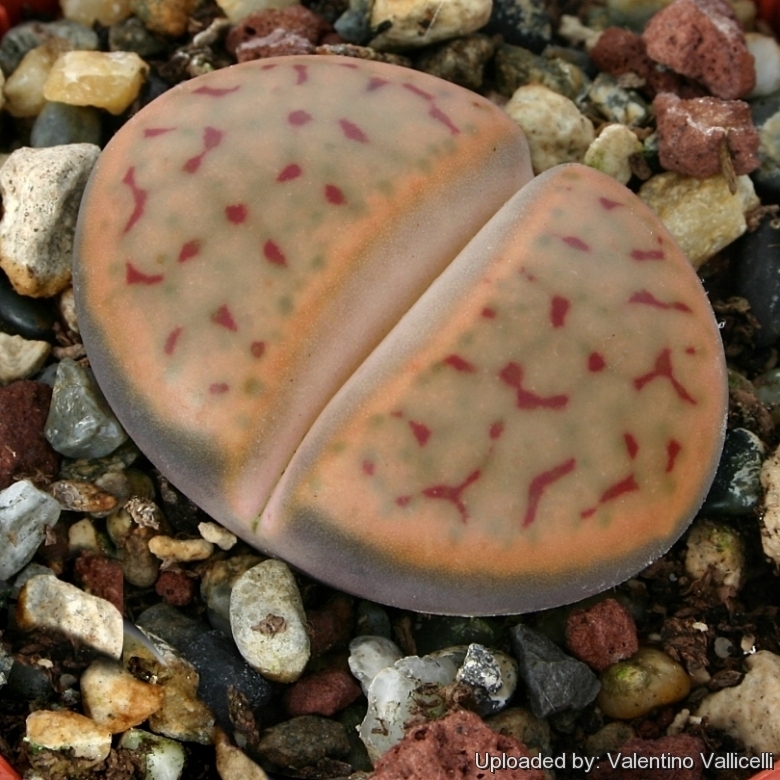 As with many other species, several varieties have been described based on the variation of the colour of the tops of the leaves. Desmond Cole field number C080: This population distinguishes for having rusty pink, brilliant bodies. Cultivation and Propagation: It need an open mineral, fast draining mix and the maximum amount of light you are able to give them. The basic cultivation routine is: Stop watering after flowering. Start watering after the old leaves completely dry. (Usually late March or Early April) Water freely during the growing season, soak the compost fully but allow it to dry out between waterings. Some growers fertilize frequently, some hardly ever. Keep them dry during the winter. Nearly all problems occur as a result of overwatering and poor ventilation especially when weather conditions are dull and cool or very humid. 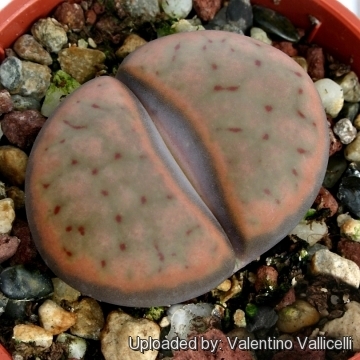 Remarks: In the winter season the plant doesn’t need watering, but they will still be growing, the new bodies will be increasing in size as the old outer leaves begin to shrivel. 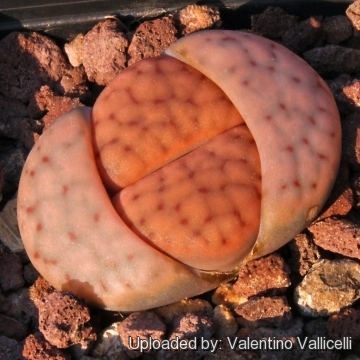 In fact the plant in this time extracts water and nutrient stored in the outer succulent leaves, allowing them to dehydrate relocating the water to the rest of the plant and to the new leaves that form during this period until the old leaves are reduced to nothing more than "thin papery shells".